Metagraffiti is a book/DVD that collects more than 20 short films from all over the world. With two long essays about graffitifilm and a running time of over 120 minutes Meta Graffiti is a vibrant testimony of the development of today’s graffiti art. 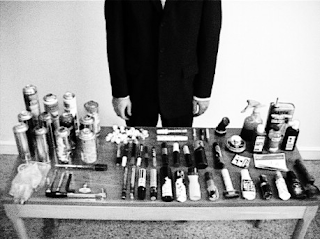 These short films are about and featuring graffiti. Humour and playfulness are in focus. These are films by people close to graffiti culture. 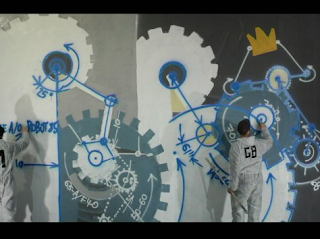 Many of the film ease up the difference between graffiti and street art. Where street art has successfully used graffiti’s main communication space — the public place — the directors borrow from the constant ability to change that street art enjoys. 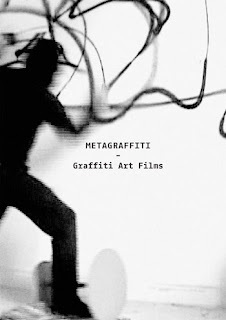 The films of Metagraffiti certainly test the framework of graffiti, but maintain the important elements of style and mischief. As a medium, film is closer to other art forms rather than the wild, unkempt lettering jazz that the institutional art world discards.